Praxis is about unique uplifting and practical solutions. Innovation balanced with common sense. Through negotiating the conflicting requirements of site, climate, regulations, technologies, financial aspects and functionality we generate a design diagram that represents the synthesis of these forces, and develop this diagram into a cohesive and clear architectural language . Praxis is a collaborative design studio based in Miami, Florida. Working in collaboration with our clients, consultants, contractors and fabricators we search for appropriate solutions for each project. Our work is focused on resolving fundamental problems of space, light, constructability and order, rather than developing a unique stylistic architectural language. Our practice has developed around constant themes of applied research and exploration in the tradition of tropical modernism, essentially finding solutions appropriate to our tropical location and appropriate for our time; such as dissolving boundaries between outdoors-indoors; creating an integrated approach that includes landscaping, architecture and interiors; creating casual environments that exude sensual elegance and appeal to the all the senses and exploring the possibilities of spatial perception in our changing tropical environment. Jose L Sanchez is the founding principal of Praxis Architecture. He earned a Masters Degree of Architecture in Design and Urban Development from the prestigious Pratt School of Architecture, where he was awarded a Hellen T. Schneider Scholarship for Design Excellence. He has been a registered architect since 1993, initially practicing in New York and New Jersey; where he practiced independently and worked for several internationally acclaimed firms, amassing a considerable wealth of experience in different building types ranging from subway stations, educational facilities, multi-family towers to niche boutiques and high-end interiors. Most notably while at Perkins Eastman Architects, one of the top Architecture and Design firms in the world, with 12 offices in 3 continents; where he was responsible for designing and directing multiple large scale projects and his leadership role was instrumental in enabling the growth of a Design Studio unit expanding from 2 architects to 50 over a period of 2 years. Upon relocating to Miami, Jose became engaged in Hi-Rise residential and Mixed use projects collaborating, as an Associate Architect at Borges and Associates, in the design development of several hi-rise projects; including obtaining the Design/Planning approvals in the City of Miami Planning Board (MUSP approvals) and in the Miami Beach Design Review Board for projects such as: 1060 Brickell, now Avenue on Brickell (42 story twin tower multi-family complex); Miami River Village, now Ivy/Oasis (13. 5 acres residential complex with 6 towers); Rosabella Towers (40 stories residential) and Nautica Condominium (33 units mid-rise in Miami Beach). Jose also generated feasibility studies/preliminary design packages for almost every remaining ‘hi-rise buildable’ lot in downtown Miami, as part of a strategic alliance with top commercial realtors. 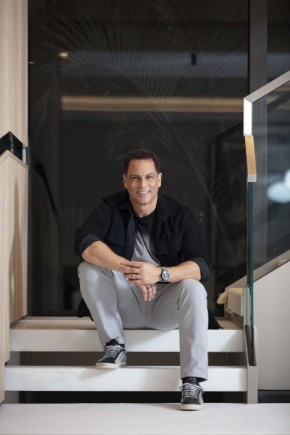 He participated in several projects in Mexico, such as: Acapulco Platino Towers, Acapulco; Plaza Kukulcan, Cancun; Aztec stadium Retail complex; as well as major hi-rise residential projects in Las Vegas and New Jersey. In 2003, Jose established Praxis Architecture, an emerging forward- thinking firm that mediates the demands of artistic endeavor, environmental commitment and design pragmatics.